Learn anatomy while coloring. Click the Free Download link below and get started. The Human Skeleton Coloring Page is a fun introduction to the bones in the human skeletal system. Recommended for middle, high school and aspiring pre-med students, teachers-for printable in-classroom use, and anyone interested in learning about the human body. Parents can use the coloring page as part of a homeschool curriculum for their child. 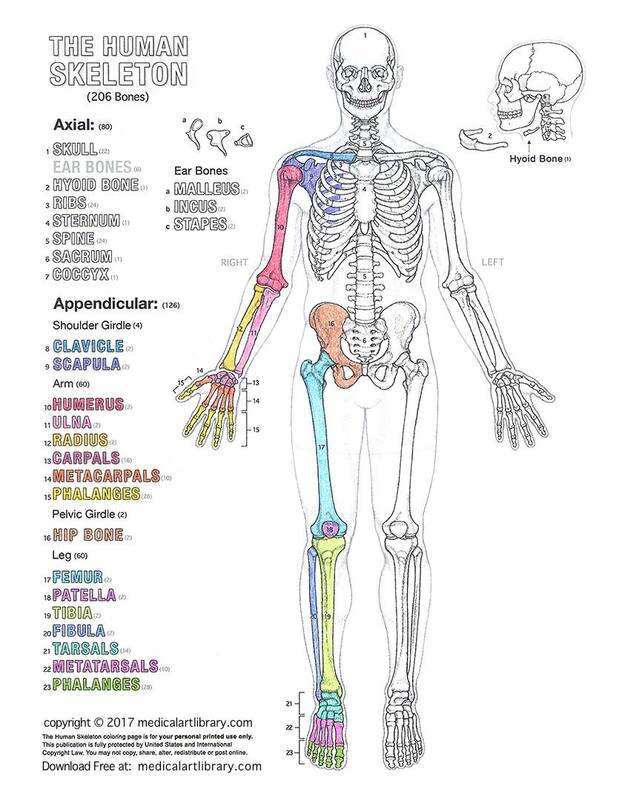 The printable Human Skeleton Coloring Page is labeled and includes all the major bones in the human body. The professional quality skeleton diagram is large and clearly drawn. For non-commercial use only. Download it now!